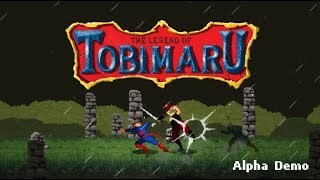 The Legend of Tobimaru is a retro-style platformer and fighting game with metroidvania elements that sees you playing a determined fighter who sets out to gain special powers that he can use to protect his clan in future battles. This alpha build showcases some of the features that have been implemented. To name a few: drop shadows, crushing rocks, hidden areas, a weather system, doors that are opened by obtaining multiple keys. Although it's not so visible, we have done a tremendous amount of polish, in terms of coding, art, level design, and combat system. The game will tell you what buttons to press to do various moves. But here's how to play the game. Tutorials before the 2nd boss helped me remember the basic controls and basic combos, even if I couldn't use them well. Seeing places I couldn't reach reminded me of the Metroid games. 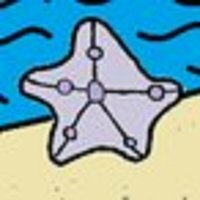 Certain mechanics need some work like jumping and being able to hit an enemy on a platform above. Usually, they just hog the edge and knock me off. Also, s, d, w, a, and space for fighting are a bit much for me to remember. Simplifying is possible (i.e. only use s for the punch combos and/or dodge/dashing by double tapping a movement key). Overall, this is a decent game with plenty of potential! 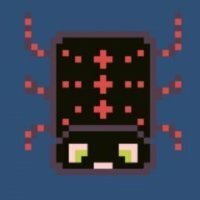 Thanks for taking the time to play the game and giving us the feedback! 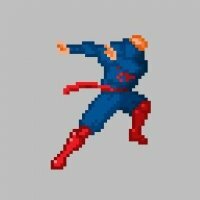 Did the tutorials help you enough to be able to perform the moves? Or did you think you needed a bit more practice for some of the boss fights? We made it possible to hit an enemy on a platform above you on purpose. Also, you should be able to use the "jump and attack" move to attack an enemy on the edge of a platform to avoid getting knocked off. We probably should've provided tutorials to practice this move though. It's pretty difficult to play the game on the keyboard. We highly recommend playing with a gamepad. We'll definitely make adjustments to the keyboard controls to make it a bit easier before release. I just played the game up to the third boss and these are the pros and cons I have. * I like the variety of moves to learn. * I'm not sure if this is by design, but when I jump and attack an enemy on a platform it is hard to follow up with a combo. I get attacked instead. Overall, don't really have a lot of bad things to say. This game has potential and I enjoyed my playthrough. So glad to hear you mentioned level design in your list of pros. It might not look it but we actually spent a countless number of hours on the demo level. We tried to make the combat puzzles as easy to grasp and as rewarding to complete as possible. Thank you for letting us know you had difficulties transitioning to a combo as you jump onto a platform towards an enemy. The next build of the game will have a visual queue to indicate when to input a move so this should make it a little easier for you. Again, thank you so much for taking the time to play through the game! Yes, it's definitely a problem that you don't get healed up when you get respawned at a save point. 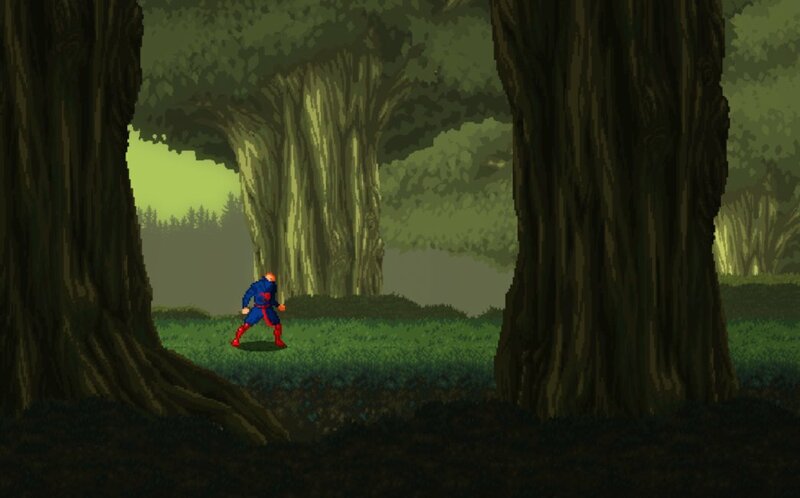 At the same time, we don't want the player to save and die on purpose to get the health bar fully restored. Maybe restore up til half the bar if health was below half?